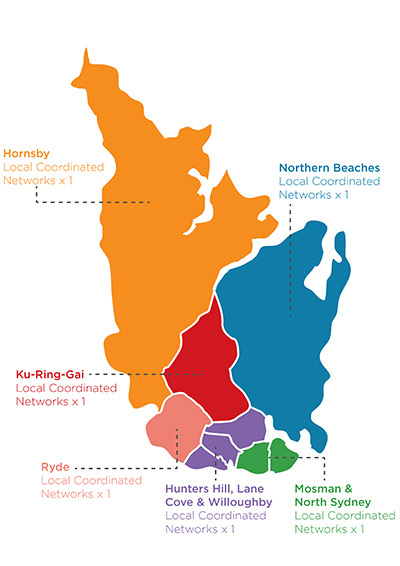 SNHN has commissioned two service providers, Primary and Community Care Services (PCCS) and Community Care Northern Beaches (CCNB) to provide a Social Work Service to Support GPs to assist in the prevention of hospital admission or re-admission for patient’s living with chronic or complex health care conditions. Social workers provide patients with appropriate service access to nutritional, social and welfare support. 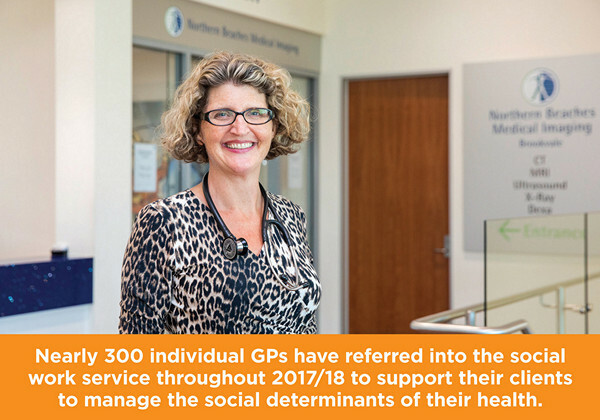 The PCCS GP Social Work Support Program adopts a patient-centred medical home approach to supporting the health, social and welfare needs of patients. The model works alongside a GP’s normal model of care and provides social work services to assist patients to improve their health and wellbeing, better navigate the system, access needed support, and avoid unnecessary hospitalisations. Social workers support GPs and their patients by facilitating and coordinating additional assistance with social, welfare and or community providers. This program runs in Hornsby, Ku-ring-gai, Ryde and Hunters Hill. To learn more about the PCCS service CLICK HERE. Access to timely and effective social work services enables people to stay Healthy at Home. CCNB delivers this model through the provision of a mobile team of experienced and qualified social workers who will work flexibly across the LGAs of Willoughby, Lane Cove, Mosman, North Sydney, Manly, Warringah and Pittwater. 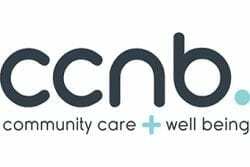 To learn more about the CCNB Healthy at Home service CLICK HERE. These services are for patient’s living with chronic or complex health care conditions. Referrals to these programs must be made by a GP. SNHN instructions on importing templates into Medical Director. SNHN instructions on importing templates into Best Practice.